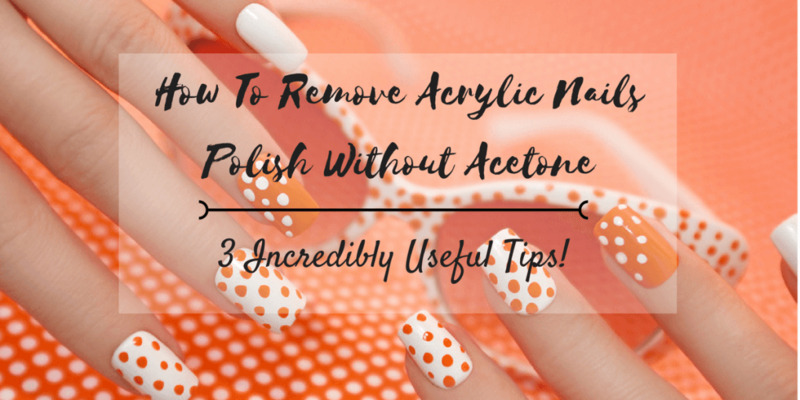 How To Remove Acrylic Nails Polish Without Acetone: 3 Incredibly Useful Tips! →How To Remove Acrylic Nails Polish Without Acetone: 3 Incredibly Useful Tips! Don’t you just love the loo﻿k of well-kept and perfectly manicured nails? Flaunting your style with acrylic nail polish is very chic and trendy – until that time when you have to take them off. Learning how to remove acrylic nails without acetone can be quite cumbersome but it’s essential for healthy looking nails. 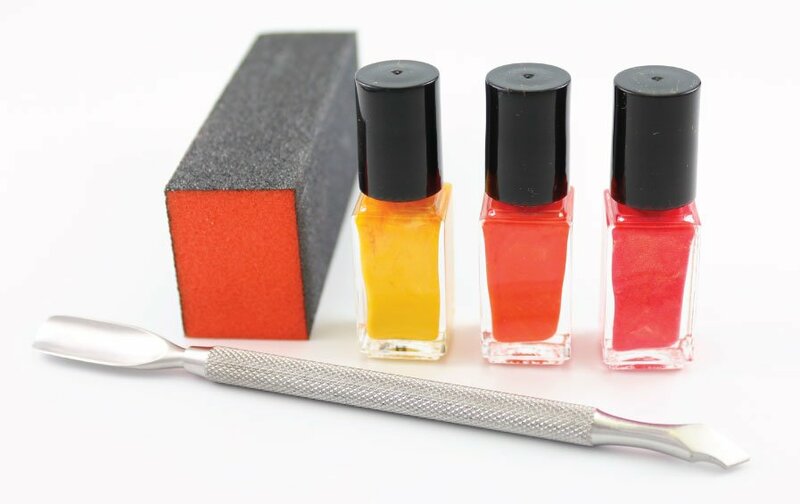 If you ask some professionals on how to take acrylic nail polish off without acetone, they will still suggest using the formula because of its strong nail polish removing properties. Have you ever felt your nails become dried up and brittle after using an acetone nail polish remover? Although affordable and easily bought, acetone is a very strong cleaning agent and a potentially harmful chemical. Overexposure to acetone can cause several side effects. According to some studies, acetone can cause complications to your nasal passage and throat due to its strong odor. In extreme cases, some people may even begin to feel nausea and the urge to vomit simply due to the smell of acetone. Apart from the irritation-causing odor, the fumes from acetone can also affect a person’s eyes. People who have had eye injury in the past, or sensitive eyes also need to stay away from acetone as it can also lead to further discomfort. Without the affordability and convenience of acetone based nail polish removers, what is the next best step to remove acrylic based nail polish? 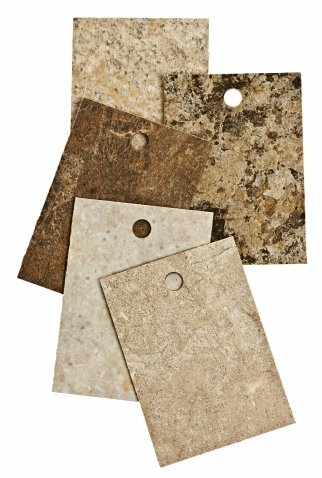 There are several ways to achieve this and most of them just use materials you readily have at home. Try out these acetone-free techniques and your nails will thank you for it. Step 1: Using the acrylic nail clipper, trim the tip of your nails short and as far as possible. You may want to use the buffer if the acrylic nail polish is to tough to trim. Step 2: With the coarse side of the buffer, file the acrylic nail polish down on all corners until only a thin layer of acrylic nail polish is left. Step 3: Use the cuticle clipper to trim the sides; you may skip this step if not needed. Step 4: Pry the edge of the acrylic nail polish layer with a cuticle stick and cut using the clipper. Step 5: Repeat on each finger until finished. Shape your nails with the buffer as needed. Step 6: Apply cuticle oil on each finger and let it rest for a few minutes. Step 7: Wash hands with soap and water. Apply hand cream or moisturizer after drying. Yes, you’ve read that right - you can definitely learn how to remove acrylic nail polish with some dental floss. Make sure that your dental floss is A-grade and dentist-approved for easier use. This method is best done with a friend so invite your girlfriends over and try this method out! Take note that this process might be a bit painful if you still have very short or firm nails. Do not try this technique just yet and wait it out for your nails to grow. Feel free to check out other techniques if you really need to remove your acrylic nails ASAP. Step 1: Slowly and carefully pry up the edge of the fake acrylic nail using a cuticle stick. Step 2: Position your friend in front of you with their face towards you and hand them a fair amount of dental floss. Let them slide the floss just underneath the fake acrylic nail. Step 3: Allow your friend to slowly work the dental floss, tugging it to and fro while working downwards. Tell your friend to go easy on you during this step. Working too fast or yanking the floss too hard can actually detach your natural nail as well. Step 4: Some nail polish may be left but this can easily be fixed by using a nail buffer. File down the remaining acrylic nail polish until a thin layer is left. 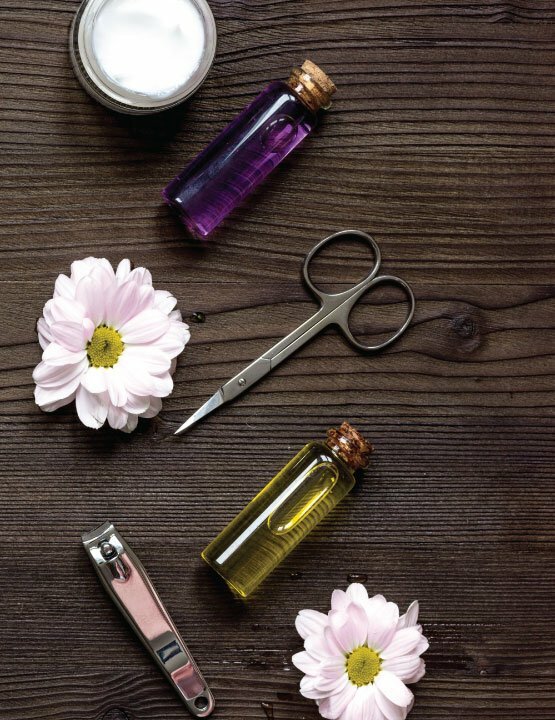 Either use a pair of cuticle scissors or a cuticle stick to get rid of the remaining polish. Step 5: Repeat steps 1-4 on each nail. Apply cream or moisturizer when finished. If the dental floss trick scares you a bit and you’re just not ready to try it out, you can always use this laminated card method. 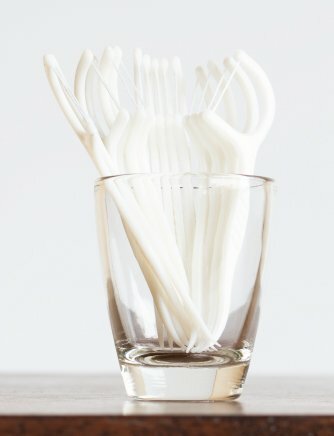 Using the same concept as the dental floss method, with less pain and lower chances of getting your natural nail detached, this method is worth a try. 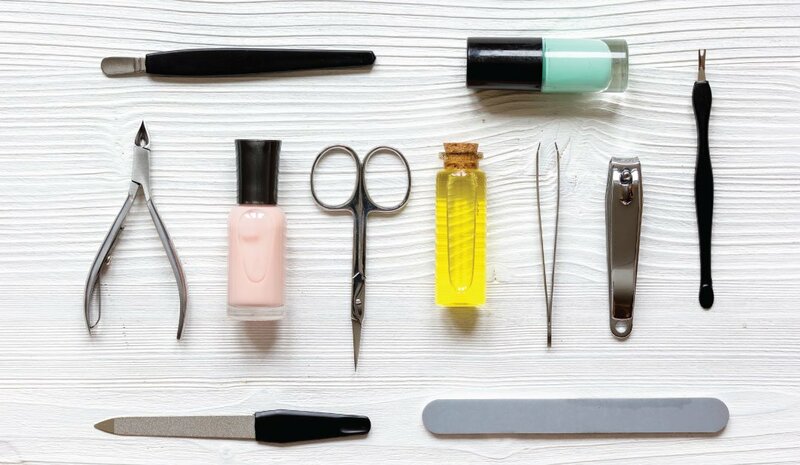 Step 1: First, use the cuticle stick to pry up the fake acrylic nail from your natural nail. Again, it doesn’t have to go all the way as you can always buff the remaining polish afterwards. Step 2: Slide the laminated card in between the fake acrylic nail and your natural nail. Move the card up and down in a saw-like motion slowly and carefully. Step 3: Switch the sides of the card often to avoid damaging your natural nail. Step 4: Repeat the steps above on each nail until finished. Again, file the remaining acrylic nail polish down with a buffer when needed. Step 5: If applying cuticle oil, leave for a few minutes before washing. If not, simply apply cream. Professional services may be costly but if you are not confident in doing these methods by yourself, it’s better to play safe rather than damaging your nails. Ask your local nail salon if they offer some acetone-free options or look for other salons that do. And if you do decide to work on your own nails at home, remember to treat your nails with caution. Always check to see if your acrylic nail is ready to be removed in order to avoid pain and further damage. Apply cream and massage your hands to relax your hands from tension.